Even if you prefer the Dryden translation of the Aeneid, I do recommend reading the introduction to the Fagles translation by the late Bernard Knox, especially "Narrative" and "History." If your library has the book, check it it out! 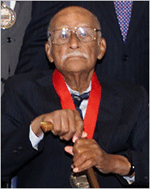 Frank M. Snowden Jr. was a historian who was a leading authority on the lives of black people in the ancient world. “… In his work, Dr. Snowden documented Greek and Roman encounters with black Africans over many centuries, contending that racial prejudice, at least as it is defined today, was largely unknown in antiquity. His books include “Blacks in Antiquity: Ethiopians in the Greco-Roman Experience” (Harvard University, 1970) and “Before Color Prejudice: The Ancient View of Blacks” (Harvard University, 1983).